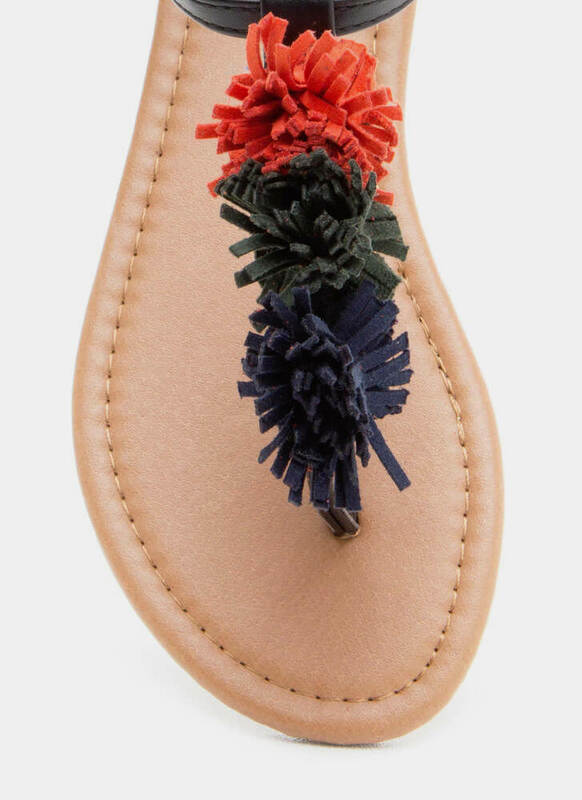 Go ahead and showcase pom-pom accents for a pop of texture! 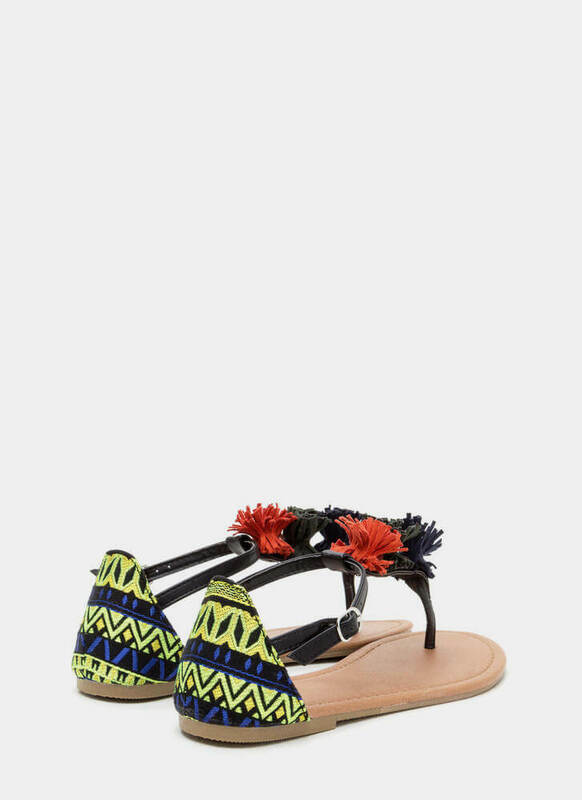 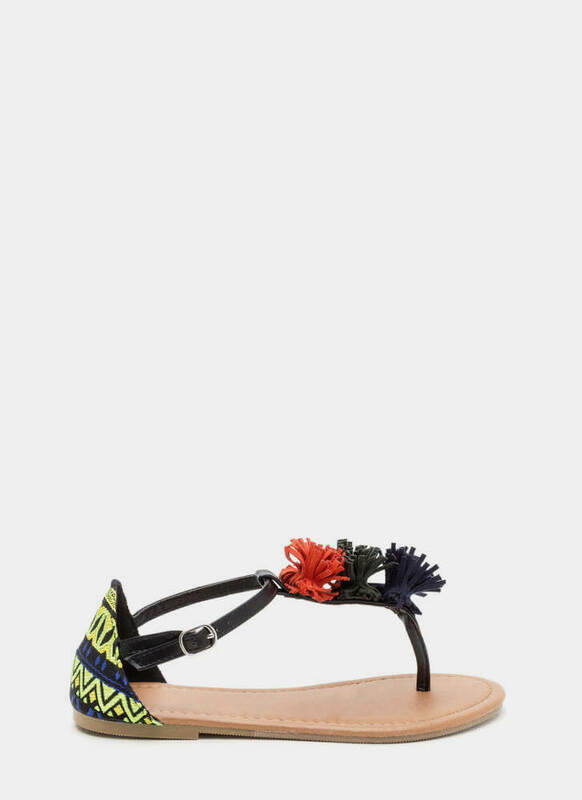 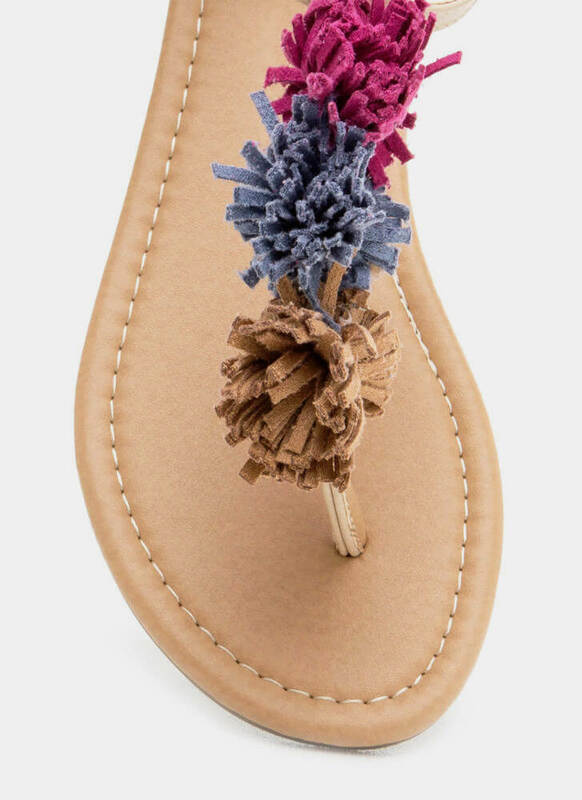 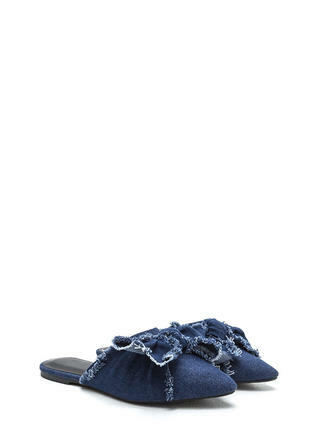 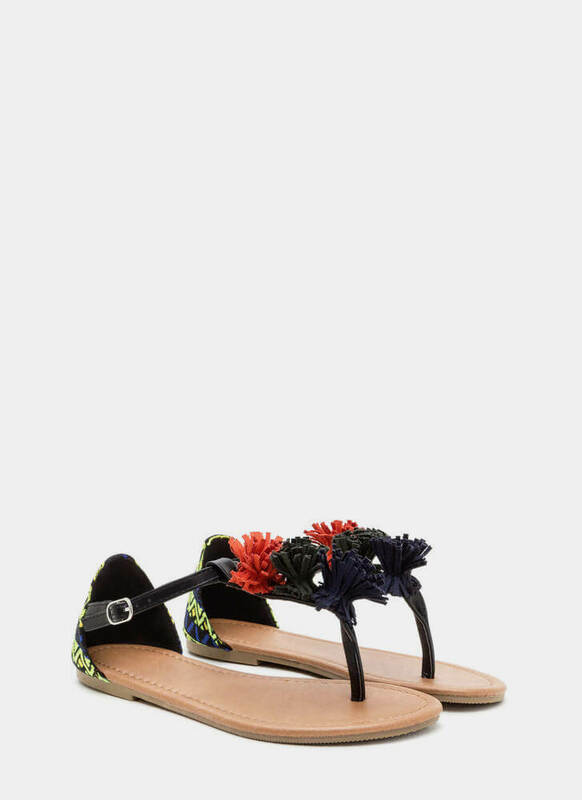 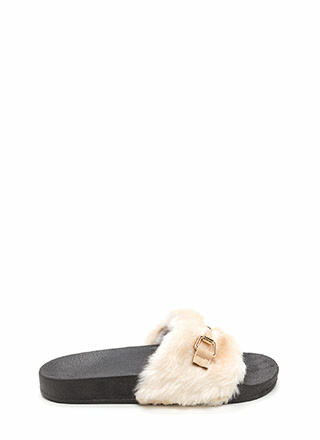 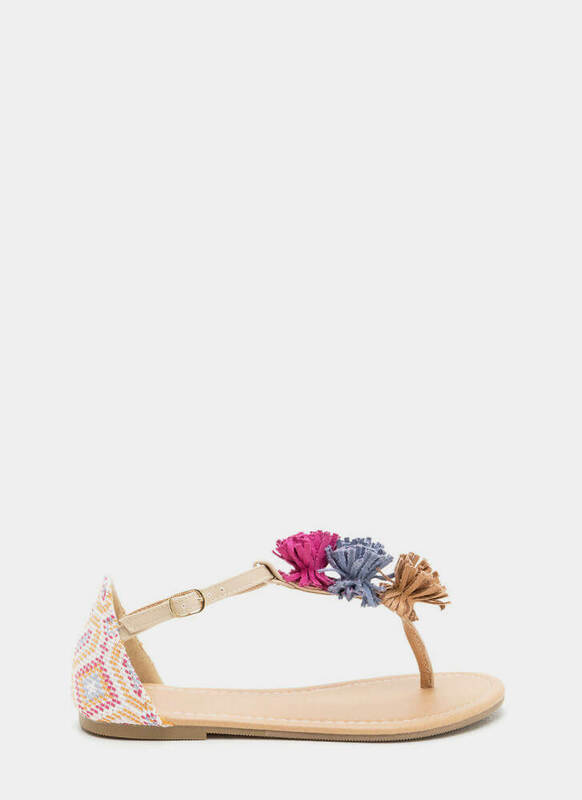 Vegan leather sandals features a woven tribal-inspired inset on the heel and a skinny T-strap upper with three vegan suede pom-poms. 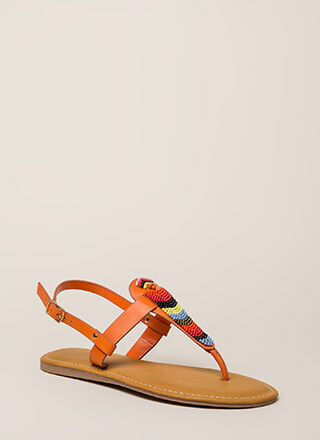 Finished with an adjustable ankle strap and a ridged sole.